Glossier's New Lip Balm Will Make Your ~*Unicorn*~ Dreams Come True! Anything Glossier drives me crazy, and this teaser got my heart racing! 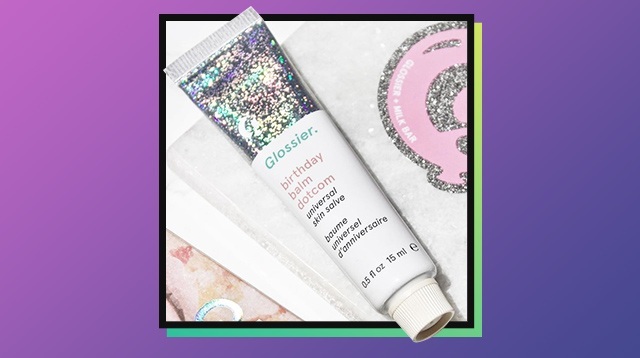 Amelia, a rep of the brand, shared a preview of the company's latest product on her Instagram: a glitter version of the cult fave Balm Dot Com! It reminds me of the sparkly glosses that I used when I was just a pre-teen. You know, the time when our mothers still supervised our exploration with cosmetics. Shiny lips was the only mommy-approved makeup look I had back then. And now, we all get to channel our younger selves—and maybe our inner unicorn with this glitter balm. There aren't any more details yet, but I'm already notifying my US relatives as I finish this post.